NCIS is returning to CBS for season 16, and it will pick up one month after the season 15 finale “Date With Destiny.” In last season’s final episode, Special Agent Jack Sloan (Maria Bello) was certain that Nigel Hakim (Pej Vahdat) — the man who had held her hostage and tortured her in Afghanistan ten years earlier — was in Washington D.C. and hadn’t been killed as everyone believed. And, all it took was for Agent Sloan to know he was alive was to hear Hakim’s voice. But, when Agent Sloan and Special Agents Leroy Jethro Gibbs (Mark Harmon), Timothy McGee (Sean Murray), and Nick Torres (Wilmer Valderrama) were preparing to take Hakim into custody, they discovered he had left the country on another flight. 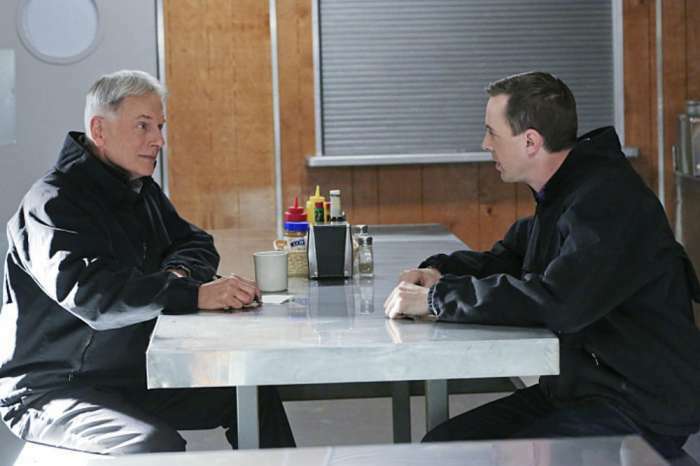 But, Gibbs made a promise to Sloan that they would get him. The face you make when you realize EVERY EPISODE of #NCIS is available to binge on CBS All Access! Happy binging! At the same time, Director Vance had been kidnapped. And, as season 16 begins with the episode “Destiny’s Child,” Gibbs is the acting director while the team searches the world to find Vance. And, showrunner Frank Cardea hints that the season will also build on the relationship between Torres and Bishop. He says that their slow-boiling relationship may finally take a step forward this year. “Torres and Bishop sort of… become close. We’re glancing in that direction. 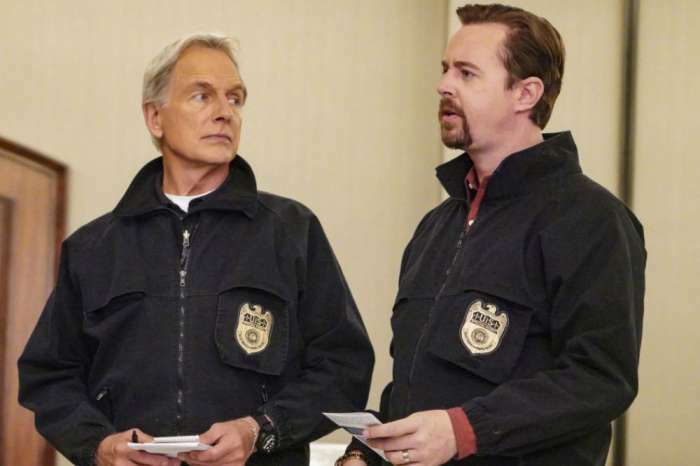 If you go back in NCIS history, the ‘Tiva’ thing took many years to develop,” says Cardea. But, as Cinema Blend points out, that doesn’t mean Torres and Bishop’s tension and chemistry will for sure turn into a romance. Cardea does use the words “glance” and “close.” But, there is definitely hope that they could get together. Having a popular “will they, won’t they” couple on a show can definitely keep fans invested, so they will have to wait for the possible Torres and Bishop romance to play out. But, chances are fans won’t mind waiting for the fireworks as long as it has a better outcome than the Tony DiNozzo and Ziva David romantic storyline. And, of course, there will be a new full-time cast member on the show since Pauley Perrette left the show at the end of last season. Diona Reasonover will be playing forensic scientist Kasie Hines, taking the place of Perrette’s Abby Sciuto. 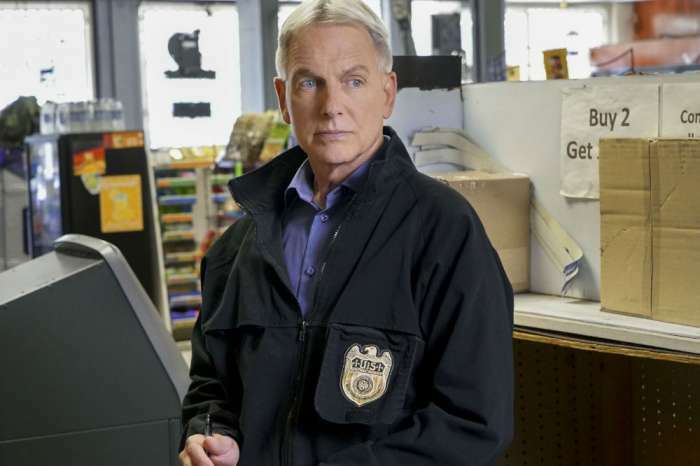 Mark Harmon returns for Season 16 of NCIS on Tuesday, September 25th on CBS. I would hate a romance between Bishop and Torres. Not great actors at all, in my opinion I cannot stand them at all. The show is lacking ever since Cote and then Michael left. I also hate that Gibbs shoved rule 12 down in Tony and Ziva’s face, but it’s ok for Bishop and Torres. No Thank you! The rules should apply to everyone. If they do get together, I’m done! Was so let down that it didn’t really happen for Tony and Ziva. Cote DePablo wanted to leave. Can’t kidnap her & make her work, but I miss her. Michael Weatherly left to be on “Bull”. It’s very successful, but his loss here was enormous. Michael McCallum is in his 80’s. How long does he want to work? He was a big star in the 60’s ‘s & hopefully doesn’t need the money. Perres: Comedic relief a la Weatherly. I’m liking him, but it took awhile. Bishop: I didn’t care for her at first, but she grew on me. Her character is pretty thin ‘tho. The guy who plays Tim: I like him alot as Ducky’s probable replacement. Did you know that the Season 1 autopsy guy was that gigantic, black man who does the AllState commercials? Harmon’s executive producer, so if he wants to bring his dog, I think he’s gonna bring him. His character is beginning to be improbable ‘tho. Agents aren’t in the field at his age very often, with some agencies requiring retirement 5 yrs. + before his age. Maybe it’s time to promote Jethro to director due to an injury? Expand the director’s role? GIVE HIM A GIRLFRIEND! Pauley Perrault: Very tired of her. How many Goths are there who’s pushing 50? The whole parasol thing, spikes, coffins, thi-hi socks made her character improbable to me. THE BRAIDS/PIGGIES!?! Why did Gibbs kiss her on the forehead? It isnt very PC in this age & time. Gibb’s doesn’t seem very fatherly & there doesn’t seem much evidence of him comparing Abby to his daughter, Kelly. If there was any old footage of Harmon with his kids that he’d release, it could warm Gibbs up more. Just my take on it, so don’t bite my head off. As for the bite heard ’round the world, I’m not sure there’s any reports that the dog had bitten before, which makes me wonder about the person he bit. No acceptable dog bites ‘tho. Its interesting that the person he bit hasn’t come foreward. Just my thoughts, so don’t bite my head off. I love this show! It reflects what life is about: Change. Nothing ever stays the same. Accepting change, and rolling with it. Its hard to let people go, but THAT is what makes the show great. The new characters are awesome and are a good “fit”. I have watched NCIS since the start with all the deaths & leavings-they have New Orleans and L.A. to watch-get over it-let it go, he’s good but Mark isn’t getting younger, give him a break, let him rest a while…. Was a little upset with no Ziva, but Tony’s love carried the next season. Bishop was hard to like at first, as was the team from Rota, and then Torres and Jack came in and Ducky left for a season. Lots of up and downs, but still good episodes. Been an NCIS fan since the beginning and through some stations carrying NCIS rerun marathons, but still the show gets better, thanks to Mark Harmon. Look forward to their new season and seeing who will continue to shine each week. I used to be a huge fan. However, replacing Abbey was the final straw. Seems Mark Harmon has gotten too big for his own britches and not caring very much about his costars or the people who have been loyal followers and made it. popular. LOST ME! I completely agree with you about the show being SO much better with Tony, Ziva, Abbey, Tim, Jimmy, Ducky and Gibbs. I never missed an episode until shorty after Ziva left. Then I just watched occasionally for the rest of that season. Now, I hardly ever watch anymore. It’s just not the same without those character! Since Ziva left the show is not the same. I miss Tony’s humor. No one should bring an biting animal to work, I agree with Abbey. Abbey I did like, but after making accusations I do not believe her. She is a wiener and a cry baby. 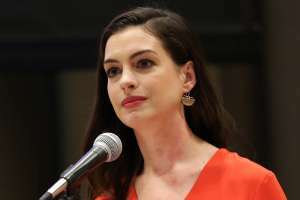 She should of said there was a problem when she was on NCIS. She just black balled herself from future jobs. I would not want to work with her. I agree. The show has never been the same since Ziva left. Then Tony. I tried to watch but no interest. Now Abby left because Mark Harmon won’t leave a DOG that BITES. I would be afraid out it also. I watch NCIS LA. Best show along with Blue Bloods. I always liked Abby up until this year. I think the final episode where she wouldn’t even be in the same room with Gibbs was pathetic. Seems like she became a diva over a dog and not getting her way. Good luck. Good bye. I LOVE GIBBS! I agree with you she is being childish!! Need to bring back Michael Weatherly and Cote de Pablo. No romance can ever replace that one and especially now there is a child. You ruined the whole show by allowing them to leave. Perhaps a miracle “Ziva still alive”……..just in danger??? Come on – get with it….they were very strong characters. So was Pauley Perretti….Abby….so what she and Harmon had a blow out??? Who the hell cares…..she was 40% of that show. Get with it and bring the three characters back. I have stopped watching since “Ziva” left. Watch every once in a while to update myself….hate it. USED to be biggest NCIS fan until they lost Ziva. I like Gibbs but come on. Abbey is IRREPLACEABLE!!!! WHY did he have to bring the dog to work?? I love & have animals but if my dog had viciously (not a nip) bit someone, I would not have the AUDACITY to bring him back. Seems to me Perrette was being the responsible one. Do these people think that her caring about the safety of herself & her castmates makes her a diva? Get real. Hiring all these others (l’ve enjoyed them on other shows) but it’s never had the chemistry it did with Abbey, DiNozo and Ziva. Still love Tim & Jimmy. Bishop doesn’t cut it.